Young brothers Idu (Ee-doo) and Adu (Aa-doo) can’t wait for dinner! They’re having guests over, and their Mamma has already made a feast that has their mouths watering. Now all Mamma has left to make are the Galub Jamun… But Idu and Adu don’t know what that is! From their first taste of the sweet treat, they can’t seem to get enough of the syrup-soaked dough, but Mamma has only made so many. Will the Galub Jamun even make it to their guests’ plates? 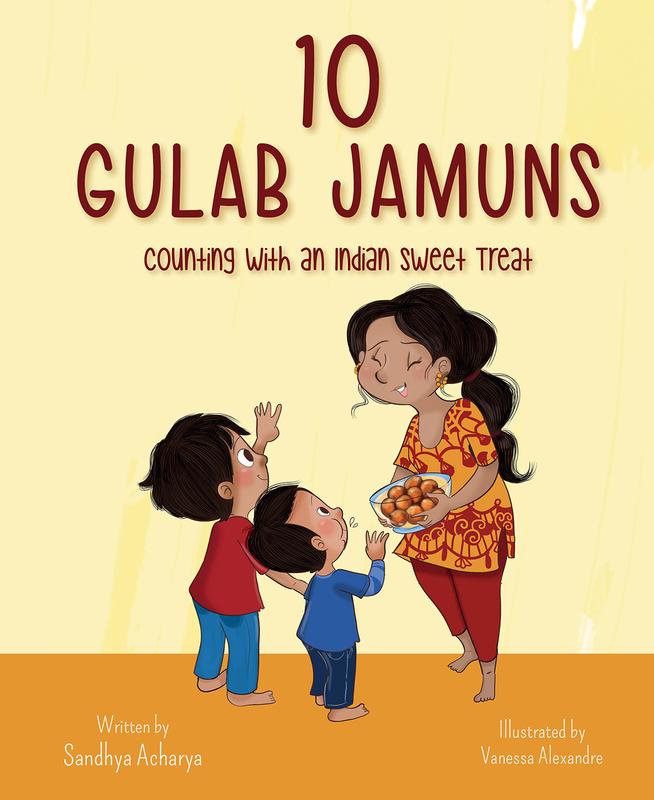 This humorous and fun story includes a simple recipe to make your own Galub Jamun, and easy to follow lessons so you can make sure to count them along the way!